Lenore Alexander tells the story of her daughter Leah, whose life might have been saved had she been continuously electronically monitored. Ten years after my daughter’s death, nothing has changed in the codes of monitoring post-op patients continuously, until they leave the hospital. Alive. I am a regsitered nurse who works for a 2 vey busy institutions. My heart breaks for your loss. I feel the need to apologize to you on behalf of my profession. As nurses we have a responsibility to our patients and their family to provide safe quality medical care. I am embarrased that your daughter’s pain control was not further assessed and that the staffers felt giving more narcotics was the solution. As educated professional we know narcotics cause respiratory depression and giving more is not always the answer. Patient feedback is very important and it is often that this feedback causes us to re-evaluate the patient as well as our processes. My finace had abdominal surgery at big teaching hospital in my area. He too had an epidural placed but I later found out it was nto working either. I was working and he was recouperating in his hospital bed when he called me screaming in pain. Said he called the nurse to tell her and the response was “ill get the pain team.” while that was the short term answer come to find out the pain team would not be able to come to him until 1 hour later. The nurse actually said you need to wait, Now, he had major abdominal surgery, his pain was through the roof and he has to wait. That is just not acceptable under any circumstance. When I arrived to his bedside 45 min later I found him covered in blood, pale, holloring in pain and totally out of control. He continued to report the epidural was not working but the medical staff continued to say it was. I called a friend who was in administartion and demanded my fiance be helped. I would have yelled louder if needed but I was nto going to give up until his pain was controlled. After 2 hours finally he was better but why should it take a call to administration to get results? Again I apologize to you mom and hoep that this helps you to know that there are nurses who advocate for their patients and I am one of them. Nurses are good people and we need them but not at the expense of your loved ones. Would real time monitoring have saved Leah? Yes. And, at what many consider the finest hospital in california, somebody involved in this childs care taking the time to listen, look and see the condition she was in would have been helpful. Her epidural narcotic infusion was raised as many times as permissable, yet still she complained of severe pain and dozed in and out of consciousness. Her parents requests to speak to the anesthesiologist were ignored. Nobody checked the epidural site. At Leahs autopsy it was discovered that the epidural was not placed in the epidural cavity, but was in the intrapleural space of the left lung. I did not realize I was the person responsible for keeping Leah alive. At that point, I trusted the doctors and nurses to give her the care she required. Today, because of everything I have learned as I navigate through a life without my daughter,I would know enough to have kept her alive. No mother should be put in that position when the technology already exists to monitor a patient post op. To have a term “dead in bed” even exist in 2011 is disgraceful. Pulse oximetry is the standard and bare minimum for epidural use. I cannot believe the nurses and doctors refused to listen to you, especially as she became so drowsy and lethargic. I also apologize for my profession . As a previous pediatric intensive care nurse, and now a CNS in critical care I look every day at the effects of our dwindling nursing expertise. While a monitor might have provided further information about your daughter’s deteriorating status, a monitor is only as good as the people interpreting the alarms. The best monitor in the world is a nurse who understands the implications of the signs and symptoms the patient presents. And is willing to advocate for the patient. It sounds like you had neither the technology nor the nursing expertise to care for your daughter. I see this as a failure of the nursing profession, not of the hospital to provide monitors (I’ve heard multiple times of nurses telling families that the alarms from the monitor screaming a warning are ‘not reading properly’). A nurse, properly trained would have recognized that a misplaced epidural catheter is one of the complications that can occur and that complaints of pain, when an epidural is in place is one of the important symptoms. A properly trained nurse would also have recognized that a patient with an epidural who also requires fentanyl would mean that the epidural catheter is NOT working properly. Nursing has been so focused on being recognized as a Profession that is has lost sight of what nursing actually does. Training nurses to write papers and focusing on advanced degrees rather than spending time learning, at the bedside, from patients and families has been the downfall of our profession. I despair every time I hear about one of these tragedies, and there are far too many. When is nursing going to wake up and realize that we are the last line of defense for patients against the medical errors and harms that can take a life? All it would have taken is one nurse, to listen, to examine, to think and to act to save Leah’s life. We failed you, and I am sorry. my husband too died due to doctors not monitoring him major heart block, it happened in 2009 and I’m still trying to find out how this could have happened when medical records showed and vitals records showed concern, I will continue to investigate till I get answers. Linda, I am sorry for your loss. I am also sorry to tell you, as long as you look, the only answer you will find is this. continuous monitoring of patients is not the standard. Since my daughters death, I have been in too many hospitals either visiting or advocating, where I have had to fight to get a monitor on a patient that under no stretch of the mind should be left in a room alone un monitored. I am obsessed with this. It is so simple, so basic, most patients and family members dont even think about it. and the term” dead in bed” is something that should not exist in America in 2012.
good luck. I wish you well and hope you find something that will give you a little peace. lenore, thank-you for responding to my post, i will continue to fight for my husband and what info I do uncover I will share I even may take a trip to congress, with health care at unbelieveable prices, we as people should be getting the best of health care when we are admitted to hospitals not go there for them to kill us. Lenore, I read your story and my heart ached in pain, both as a father and as an anesthesiologist. I do not have the authority to apologize for somebody else’s actions, but I will still say I’m sorry that the anesthesiologist did not uphold the standard of care. More importantly, he(she) did not show concern for another human being in pain. I am greatly sorry for your loss. Your daughter’s story unfortunately highlights a problem that I have had with post-operative nursing staff for a long time (and please do not misunderstand me, I am not laying the entirety of the blame on the nursing staff). But the nurses have “standards” of monitoring that often fly in the face of common sense, in my humble opinion. In the post-anesthesia care unit (PACU), for example, I often ask them to monitor vitals every 5 minutes. Their protocol is every 15 min. When my orders seem more stringent than their standards, they balk. I believe there are many reasons for this–one of them being that we no longer teach medical staff (including physicians) to think independently. Instead, we relegate the responsibilities of professionalism to committees who determine what we should do in every given situation. But, the major learning point from your daughter’s story is that this is an easily fixable problem. I believe that if we increase monitoring at more frequent intervals across the board (regardless of which area of the hospital it is), we can drastically reduce major events of morbidity and mortality. Again, my heart goes out to you for your loss. My heart goes out to Lenore. I am so sorry for your loss. I can say this as a clinical nurse specialist and nurse for almost three decades; it almost appears, sadly to say, as though family has to be vigilant when a member is hospitalized. I have found the profession very lackadaisical (both nursing and physicians) to some extent very arrogant. I am unclear in the above posting, how an anesthesiologist can request every 5 minute monitoring and a nurse can balk the orders. Yes, we have “standards of care” meaning we should at a minimum monitor every 15 minutes. However, there are situations that warrant monitoring more frequently. In your example, that would be if the physician has written the order. We must not forget other factors such as, clinical judgment and most importantly patient’s clinical picture, condition or status. However you would like to define it. Each patient is not treated as an exact science. My father was hospitalized for stroke like symptoms. Initial CT was negative however not uncommon for ischemic stroke. He was admitted with bilateral pneumonia, temp 102, again not uncommon for stroke patients. He was in the intensive care unit supposable being monitored. The first 24 hours he actually looked better. I came in the next day found him lethargic, tachycardic, elevated B.P, and irregular respiratory pattern. I was shocked to walk in the room to find my dad in that shape. I asked the nurse how long has he been like that. She responded all day. She said, “He is ok”, I just gave him some pain medicine this morning. I said it is 4 pm now, call the doctor and get him here now. The doctor responded by “he was too busy in the emergency room and would talk with me on the phone”. I said, my father is having a stroke. He said no, he is just septic. I told the physician I have been a nurse 30 years and I know what a stroke looks like. I informed him of my fathers level of consciousness, neuro exam, explained his appearance, vital signs, and breathing pattern. Needless to say, my father had a left frontal lobe stroke that could have been treated, if he was monitored appropriately. No apology can help bring my father back to baseline functioning. Thank you chris and alexis for reading Leah’s story. The hard thing for me, is that today, I know enough, that I would be able to keep Leah from dying. I havent gone to med school. The factors contributing to her useless death were just that basic. I didnt know what I did not know. Leah’s orders were for monitoring every 2-4 hours. No post op patient , heavily medicated, should be in a room without continuous monitoring. The technology available today makes it so easy. She was getting the highest dose possible of fentanyl, while her breathing was getting weaker and weaker. And she was not on a pulse ox. The law, Leah’s Law, must be, continuous post op monitoring for all patients on narcotics. 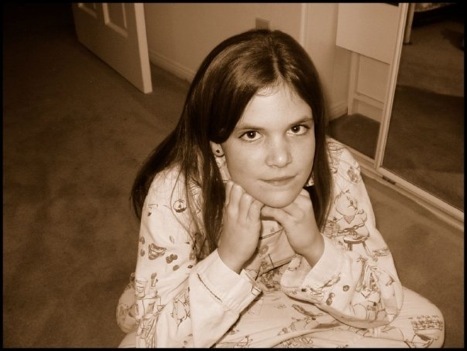 In the ten years since my beautiful childs death, nothing has changed. The surgeon who operated on leah still does not write for continuous monitoring, and the anesthesiologist has said placing an epidural ouside the epidural cavity is a known method of pain relief. I will keep telling leah’s story until the “standard of care” becomes what we all know is the safe and smart procedure for any patient. As a college freshman, I had worked as an OR orderly at O’Connor Hospital in San Jose for 6 months prior to leaving for UC Davis. I knew most everyone on staff in Recovery, ICU etc. My Dad was admitted for back surgery at 54 with a history of 2 heart attacks. Weathering the surgery well on Friday, on Sunday in the ICU he became listless, then delirious. In those days (1971), nurses still were MD’s servants, and on Sundays surgeons were all but unreachable. My Dad’s surgeon had forgotten to chart authorization for heart medication except for 1 drug. I was with my Mom and when the nurse gave it to him Mom recognized the smell – elixir turpen hydrate – a cough syrup. The nurses were non-communicative with Mom, but one pulled me aside and told me to walk the wards and try to get an MD in here stat. Racing up and down the hallways there were no doctors, and when I went to the ED doc, I literally begged him to come see my Dad, but he wouldn’t and probably couldn’t. Bouncing back and forth from the ICU, I kept a game face with my Mom, because I still did not comprehend the jeopardy Dad was in. Finally, with the nurses repeatedly trying and failing to get in touch with Dad’s neurosurgeon, I was yanked into an office by the ICU head nurse who I knew whose shift had just begun. She and I had been friendly as co-workers months earlier, and she spoke freely with me. She said we can’t do anything for your Dad until he codes and I’ve already got a crashcart here, but I can’t give him an uncharted med now. Bruce, I want you to do something – I want you to fire Dr. Markham right this moment and call your Dad’s internist. I wrote a quickly statement that my Dad’s surgeon was fired, then placed a call to my Dad’s primary care doc telling exchange it was an emergency. Mom was aan emotional wreck and I veered over to talk with her and explain. We sat. By now at least 4 hrs had passed since my Dad began declining. I went in to see him when an aide came to the door and said my Dad’s internist was on the line asking for me. I asked him to come immediately, told him Id fired Dr. Markham and handed the phone to the ICU head nurse so he could give orders for additional meds. As I walked out of that office, over the hospital PA came the announcement “Code 99 – ICU”. Code 99 was a call for everyone who dealt with cardiac arrest to go there. I burst into tears, dried them then went to sit with my Mom. I had to explain to her what a Code 99 was. And we both just sat and prayed. 30 minutes passed and while Mom continued to believe things would be okay, I knew already that too much time had passed. We were invited into another room, and in walked Dr. Markham, accompanied by 2 male orderlies. Mrs____, he said,we did all we could but your husband has died. Markham knew me from the OR, and I cursed him in ways I doubt either patient or family or staff likely had before. And I, a pre-med student at UC Davis, swore I’d never become a doctor. Bruce and Linda, I am so sorry. And you are correct Linda, hundreds of thousands of people die from medical errors every year in our hospitals. Some statistics put it as the third highest cause of death in America. And I see the times are changing, and doctors and hospitals are becoming accountable. But, it is a slow process, and people like us have to keep telling our stories, over and over and over, and help empower patients to speak up, scream if you have to. This is a dirty big secret that isnt a secret any longer. I am sorry you have had to live this, and I thank you for telling your stories. Ms. Alexander, I have just today found your story, and I am so sorry to read it. 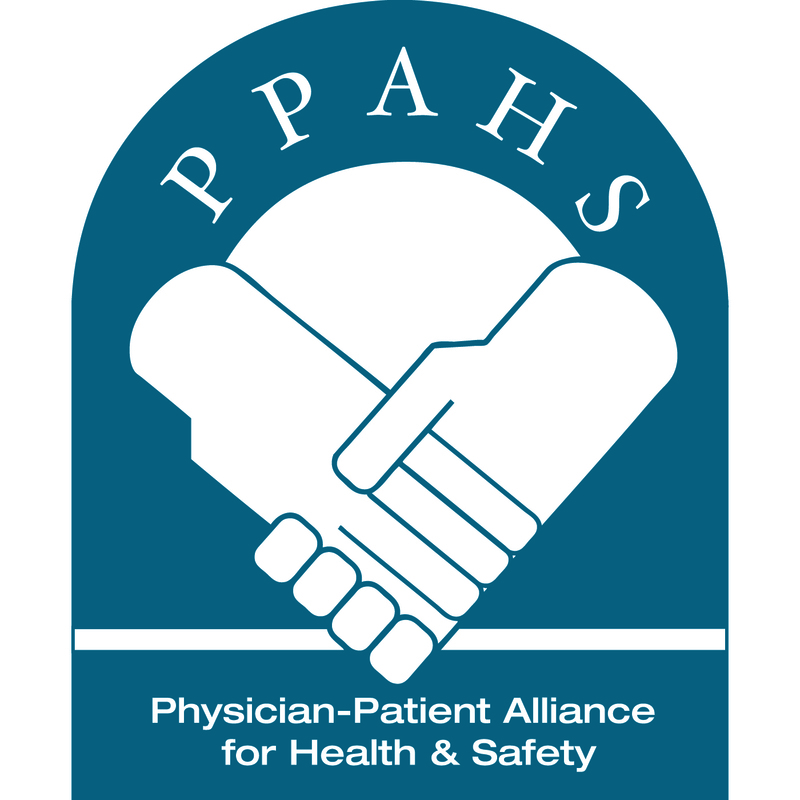 I am involved in a patient safety initiative in California, and I wonder if you would be willing to contact me via email at jgpreston@caoc.org. I dont understand why somebody would need surgery for pectus carinatum. It is just a cosmetic issue that doesnt need to be fixed. Becky, I didnt have informed consent, meaning nobody explaind the nature of my daughters condition and the option to watch her through puberty, not just rush to operate. This was also a new procedure and I was unaware, Leah was a perfect candidate. Lenore, i am so dearly sorry for your loss. I am so with you for no more families to go threw all of that pain and grieving. i give you my best wishes and all the fortune of Tyche.